The recommended values vary tremendously based on national, provincial or municipal building codes. R values and their metric equivalent, RSI values, are a way of labelling the effectiveness of insulating materials. The higher the R value or RSI value, the more resistance the material has to the movement of heat. Insulation products sold in Canada are labelled with R and RSI values. Provincial building codes specify minimum R (or RSI) values for new construction, with different values for different applications. It is important to know what your local building code requires when planning new construction. The right insulation system can save you money, reduce the amount of energy you use and make your home more comfortable. R-value is a measure of resistance to heat flow through a given thickness of material. In theory, the higher the R-value, the greater that resistance. That’s fine as far as it goes. Unfortunately, R-Value has taken hold in the consumer’s mind as a universal method for comparing insulations – the higher the R-Value, the better the insulation, end of story. But all R-Values are not created equal, because they measure only one of the factors that determine how insulation will perform in the real world. Insulation is, first and foremost, meant to stop the movement of heat. The problem with using R-Value as the sole yardstick of an insulation’s effectiveness is that heat moves in and out of your home or commercial building in four ways: by conduction (which R-Value measures), and by convection, radiation and air infiltration (none of which R-Value measures). The R-Values of insulation materials are measured in a lab. That would work great – if the home were inside a lab! But homes are built outdoors, and that means there are other factors like wind, humidity, and temperature changes in play. 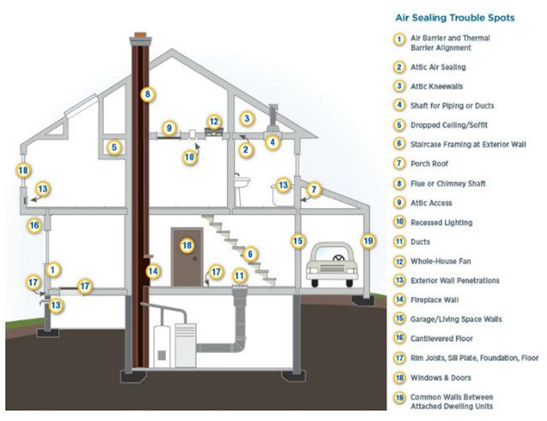 These factors create pressure differences between the interior and the exterior of the building due to things like hot air rising, wind, and mechanical systems forcing air through every tiny little opening and making its way to the interior or exterior, or to unconditioned areas of the building like attics, basements and crawl spaces. The home or commercial building may look solid, but there are thousands of tiny gaps, cracks and penetrations between building materials. For example, if you apply the air pressure of a 20 MPH wind on a 20 deg. F day to a building, the typical R-19, fiberglass insulated wall often performs no better than the wood studs (R-6) because of air infiltration, with heat being transported around (bypassing) the fiberglass batts through convection. In very low density materials like loose blown fiberglass, heat will actually radiate right through the insulation, and this, along with convection, significantly reduces fiberglass’ installed performance and your comfort. A superior insulation system will have good R-Value (prevent heat loss via conduction), will be pneumatically or spray applied, fully filling the building cavity (prevent heat loss via convection), and will be densely packed (prevent heat loss via air infiltration and radiation). Fiberglass meets the first criteria, but not the other three. Cellulose meets all four of these critical performance criteria! R for R … cellulose outperforms – For a given R-value, loose cellulose weighs roughly three times as much per square foot as loose fiberglass. 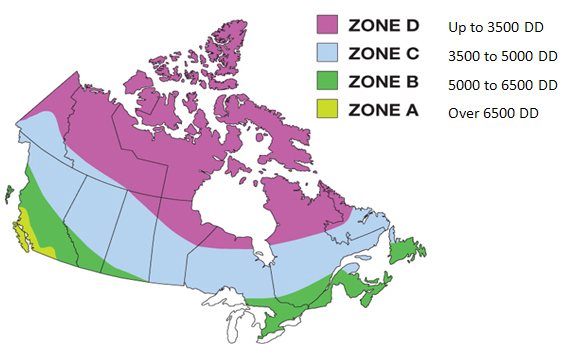 Note: Each zone on the map represents an area that experiences a similar number of degree-days. Degree-days are a measure of heating demand based on the difference between the average daily outdoor temperature and 18°C (65°F). 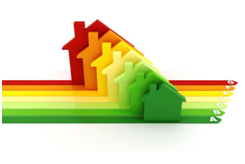 Cumulative totals for the month or heating season are used to estimate heating energy needs. The following table is a good guideline to follow to determine insulation levels for different areas of a house. 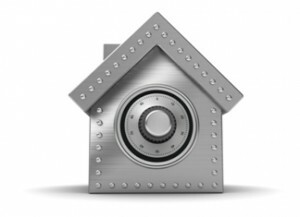 You may wish to compare your plans with the Model National Energy Code for Houses for your province or territory. The thermal resistance values listed in the code are more accurate than the ones listed in the table above because they take into account the type of framing and heat loss through the framing materials. No insulation “attracts” moisture, but various materials exhibit different moisture handling characteristics. ProCellTM has the natural ability to dissipate excess moisture and maintain an acceptable level of moisture content. Moisture levels in a home can range between 7-9% by weight depending upon the time of year. Cellulose insulation can retain over 10% moisture without any adverse effect on the thermal insulating properties. Canadian homes and buildings can experience loss of warm moist air from the interior environment to the colder exterior air by several means such as ripped, unsealed or discontinuous vapour barrier or by piping or electrical wiring that may penetrate the vapour barrier. During the heating season, these disruptions to the vapour barrier permit escaping air to condense within the insulation layer or on the cold roof or wall sheating. To combat this occurrence, insulations should be used which exhibit an ability to dissipate moisture. ProCell’s TM ability to transport moisture to a surface where it can evaporate is most important in keeping moisture levels low and insulation effectiveness high. Maximize energy savings by upgrading your client’s home attic insulation with ProCell tm Green Insulation. Whether it’s a new construction or a renovation, by insulating a home with cellulose insulation they will notice immediate reductions on their utility bills by as much as 20 to 30%. By keeping the home warm in the winter and cool in the summer, cellulose acts as thermal blanket providing a comfortable living environment. In the summer, they will save on your air conditioning and in the winter they can expect to save on their heating bills, simply by sealing any air leaks and adding a thermal performing product, such as cellulose. In a study conducted by University of Colorado School of Architecture, testing was performed under real world conditions on two building structures, one with cellulose insulation and the other with fiberglass insulation. Noticeable differences were observed immediately, and in as little as 16 days, the experiment showed that the cellulose insulated structure used 26.4% less energy. Tests also concluded that in overall thermal performance testing, the cellulose building was 38% tighter and more effective than the fiberglass insulated one. By lowering the energy consumption and usage, they are also contributing to lowering global CO2 emissions, thus reducing their carbon footprint. Visit CIMA’s Greenest of the Green Campaign to find out more information. Our ProCelltm insulation products are designed to improve the thermal value and performance of a home by reducing its energy consumption by tightening up the building envelope. Cellulose insulation is also economically priced when compared to other insulating materials. Therefore saving money on product costs, installation and utility bills. Uncontrolled leakage of air through exterior walls and ceilings of homes is almost as important as R-value in determining how much energy will be required to heat and cool your home. Air sealing is important, not only because drafts are uncomfortable, but also because air leaks carry both moisture and energy, usually in the direction you don’t want. For example, air leaks can carry hot humid outdoor air into the house in the summer, or can carry warm moist air from a bathroom into the attic in the winter. Most homeowners are aware that air leaks into and out of their houses through small openings around doors and window frames and through fireplaces and chimneys. Air also enters the living space from other unheated parts of the house, such as attics, basements, or crawlspaces. ThermoShield and ProCell insulation due to its ability to fill all gaps and its greater mass (density) inhibits air movement whereas tests have proven that air movement through and around light density insulating materials can reduce its effective insulating value by one half. That’s right, a loss of Rvalue equivalent to 50%. Two independent studies by the University of Illinois and Oak Ridge National Laboratory documented this long standing claim that cellulose insulation outperforms loose-fill fiberglass insulation because of its higher density and lower air permeability. ThermoShield and ProCell completely fill cavities and irregular surfaces thus eliminating gaps and voids which lead to air leakage and convection. In retrofit applications, where additional attic insulation is desired and where air leakage is occuring through other insulation types, a simple solution to fixing this R-value degradation is to add 2 to 3 inches of cellulose insulation on top of the existing insulation or remove and replace the insulation with cellulose insulation. This will substantially increase the overall insulation value of a home. Based on air permeability, the Oak Ridge scientists have calculated that cellulose insulation will not lose R-value due to convective heat loss at temperatures as low as 40o F below zero. This means that cellulose insulation maintains its resistance to heat transfer under virtually all weather conditions that occur in North America. In another study conducted by the University of Colorado School of Architecture and Planning, air infiltration tests conducted on two buildings, one insulated with cellulose and the other with fiberglass, showed that cellulose insulation tightened the building by roughly 38% more than the glass insulated one. In conclusion, cellulose has a better resistance to air flow and prevents the upward movement of air caused by temperature differences (the R-value of cellulose actually improves during cold Canadian weather). A lesser known feature of our product, is its ability to provide long term protection against wood decay, fungal growth, insects, mice and other unwanted vermins. ThermoShield / ProCellTM insulation is treated with a carefully controlled blend of borate powders so that the performance requirements of applicable standards are ensured. Not only do they enhance the fire resistance of our product, they also function to the prevention of the formation of mold, mildew and wood rot. This unique characteristic of borates is becoming increasingly valuable as the trend toward tighter house construction increases the potential for moisture accumulation within the building envelope. The construction of tighter houses has often resulted in a higher interior humidity and air pressure differential. These two factors have combined to increase the accumulation of condensation moisture in framing and sheathing components. These developments have created serious concerns about structural failure from wood decay. 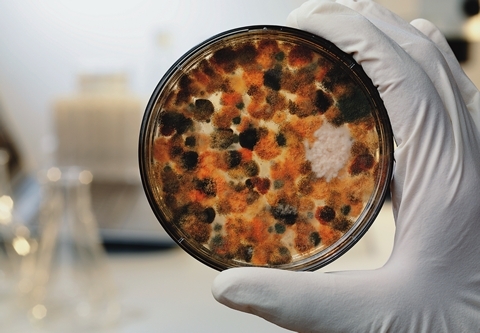 The specially-treated borate fibers of our insulation have the ability to prevent the formation of destructive fungal spores. Furthermore, the fungicidal character of the borate compound also has the advantage of being offensive to insects and vermins. Hog Barn missing insulation showing tunnels made by mice. Mice Hate It – unlike other fibrous insulations, mice will avoid nesting in cellulose insulation. An experiment conducted in a laboratory showed that 9 out of 10 mice preferred untreated cellulose fibers as opposed to the borate formulated product. 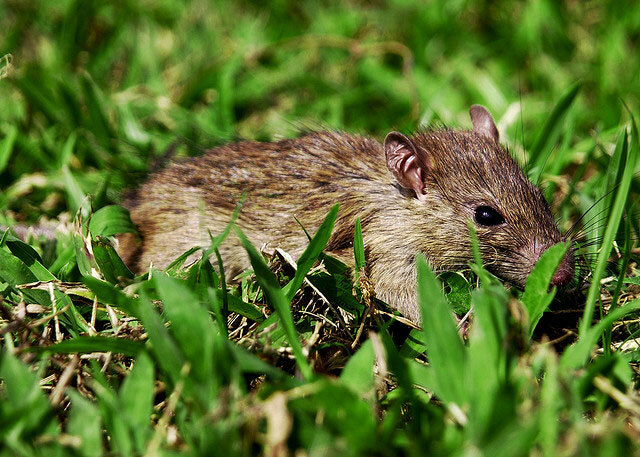 It is not uncommon to hear that rodents have set up home in walls and have made away with the glass fiber insulation. ThermoShield / ProCellTM insulation can help to prevent and deter mice and unwanted rodents from setting up residence in your home. Builders - It’s Safe and Natural! Cellulose insulation has many well-known thermal and added benefits. As a builder, you can rest assured that our products are safe and non-toxic and do not contain any asbestos or formaldehyde, its all natural. And, your employees will like the fact that during installation, our product does not irritate skin or itch. Cellulose insulation has been on the market for over 60 years and is subject to numerous tests and regulatory standards. In addition to creating energy-efficient homes for your clients, you need an insulation that can do more than just insulate. Besides insulating, cellulose can help prevent the spread of flames in the event of a fire and blocks the transmission of sound much more effectively than fiberglass. The insulation in the walls, ceilings, attic, etc., has a lot of jobs to do besides insulating – and cellulose is up to all those jobs! Find out more about the Fire resistance and sound attenuation properties of our cellulose insulation products.